Virtualisation vendor set to cut five percent of global workforce. Dell’s much publicised $US67 billion acquisition of EMC has its first major casualty, in the form of 900 VMware jobs. According to mounting reports in the US press, Fortune claims that in a bid to drag the multi-billion dollar merger over the line, big cuts are coming for the virtualisation vendor, an integral part of the EMC Federation of companies. 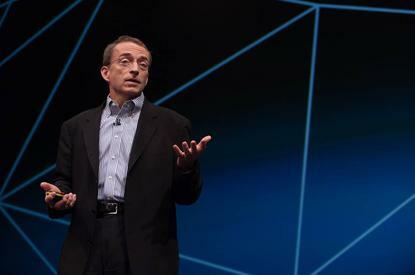 As such, VMware is expected to lay off up to 900 staff as early as this week - representative of around five per cent of its 18,000 strong global workforce - in the company’s US offices. Unsurprisingly, VMware refused to be drawn on the speculation, insisting that it “cannot comment on rumour", but industry critics believe the cutbacks reflect the company’s declining share price, weaker bookings and concerns over the upcoming Dell deal with EMC. In essence, the layoffs are to be expected following EMC’s own admission in December, in which the storage giant - which owns around 80 percent of VMware - revealed that a “reduction in force” was also on the cards, and is expected to be completed in early 2016. In publishing its financials on December 30, EMC expects the restructure to cost around $US250 million, as part of a wider plan to reduce the tech giant’s cost base by $US850 million annually. VMware’s recent backing out of plans to take over EMC’s cloud service, Virtustream, also adds weight to the theory that the vendor will prove a big stumbling block for investors desperate to sign off on the record-breaking merger. Instead, the company will continue to separately operate its own cloud service, vCloud Air, and with its fourth quarter earnings expected on January 26, all eyes will be on VMware CEO Pat Gelsinger as the sale of the century heats up.